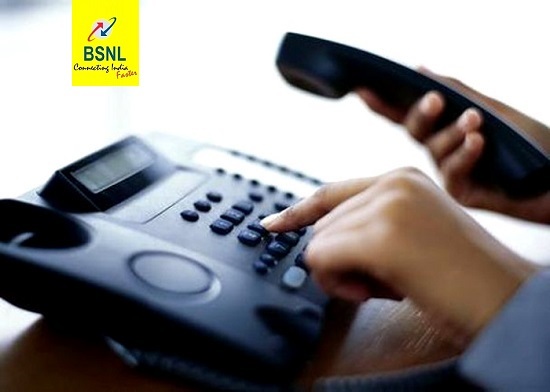 BSNL has decided to withdraw some of its existing landline tariff plans for the prospective customers with immediate effect in all the telecom circles with immediate effect. As per the latest information, the following six landline plans will be withdrawn with effect from 01-09-2017. Withdrawn landline plans are - Super 1495, Premium 2495, UL-545, UL-645, Swipe Machine Super 499 & BSNL Landline Plus Plan. An official statement from BSNL regarding the withdrawal some of the existing landline plans read as follws - "The Competent Authority has approved withdrawal of following Landline tariff plans for the prospective customers with immediate effect." The above tariff order is applicable with effect from 01-09-2017 on PAN India basis. Existing customers under these plans shall continue. However, efforts will be made to migrate these customers to some other ladline plans. All other terms and conditions shall remain the same. As we reported earlier, BSNL already launched a new landline plan LL 299 with 250 free calls to any network in all the circles from 1st August 2017. To increase its landline & broadband customer base, the PSU has completely waived off installation charges for new landline and broadband customers for a period of One Year in all the circles. in which plan you are migrating existing customers ?